The system at SANGKRIT.net provides you easy-to-use hassle-free solutions to get online in less time and allocated budget. You simply start by registering or transferring your domain name and the system at SANGKRIT.net will guide you to all important steps to bring your website online on your own. Similarly you can make money by transferring other domains to help others on their websites. Simply ask your client to set http://system.sangkrit.net as homepage then help him in buying things necessary for his startup, you can share your contact details for any further help and programming support which is purchasable to you on per hour per terminal basis from system@sangkrit.net. This way you work as a personal outlet of SANGKRIT.net by serving your clients with all technical and programming support in brining their businesses online. Starting from Website Builder to Managed WordPress and Linux based hosting options offering one click app installer. Everything in your SANGKRIT.net account is presented to you in a way that you can manage all your projects yourself. The most expensive things are affordable here such as Search Visibility and Optimization is no more expensive and now you don’t need to hire any SEO expert for implementing it on your website. You can defend your websites against the worst threats by using Website Security powered by Sucuri to protect your web investment, keeping you and your customers safe from hackers etc. SSL certificates here comes with a quick installer and Email Accounts provides auto setup on the choice of your domain. 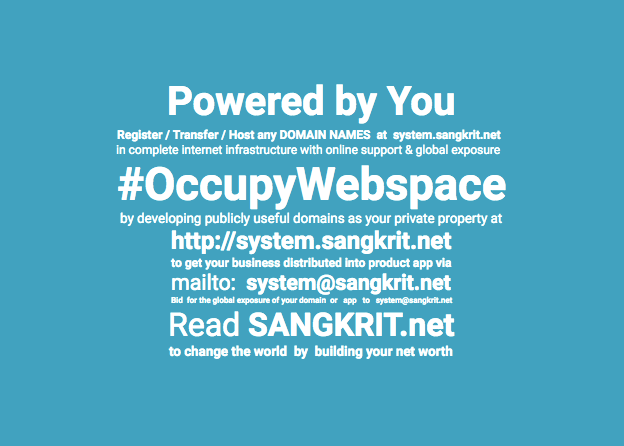 So it is easier to startup by using the System of SANGKRIT.net. You should read this catalog for a quick overview on everything you need to startup and grow online.